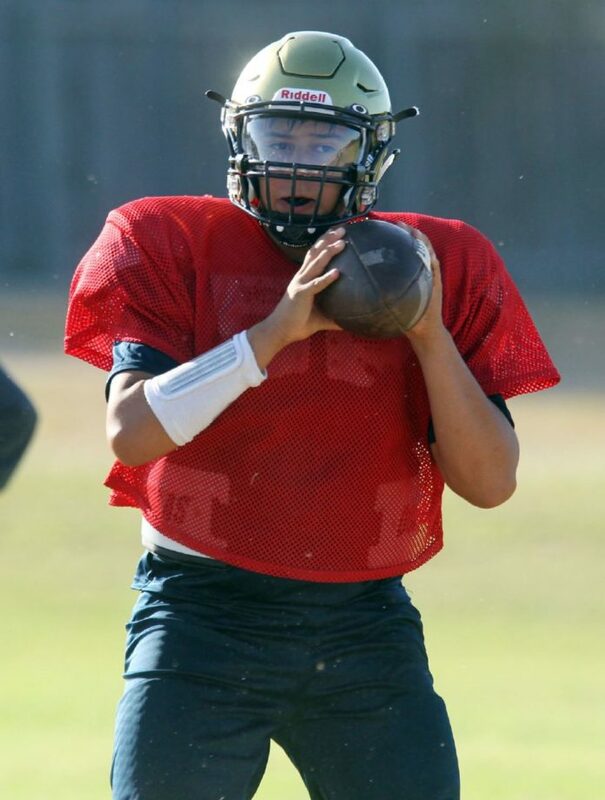 Edinburg North Max Aguilar looks to throw during football practice at Edinburg North High school on Tuesday, August,21, 2018, in Edinburg. EDINBURG — Edinburg North remains stacked with talent, despite all of the departures and graduations. They have a bona fide star in senior receiver Roel de Leon. Despite dealing with an injury and playing behind a talented crop of receivers last year, de Leon found the end zone three times, a number that is sure to grow in his senior year.